UPDATED: Tue., Nov. 21, 2017, 6:46 a.m.
For the first time in city history, the Spokane Fire Department will be led in part by a woman. On Monday, city officials announced Trisha Wolford would work as the department’s assistant fire chief. The position was previously held by Schaeffer, who was promoted to fire chief in May following the retirement of Bobby Williams, who worked as fire chief for 28 years. 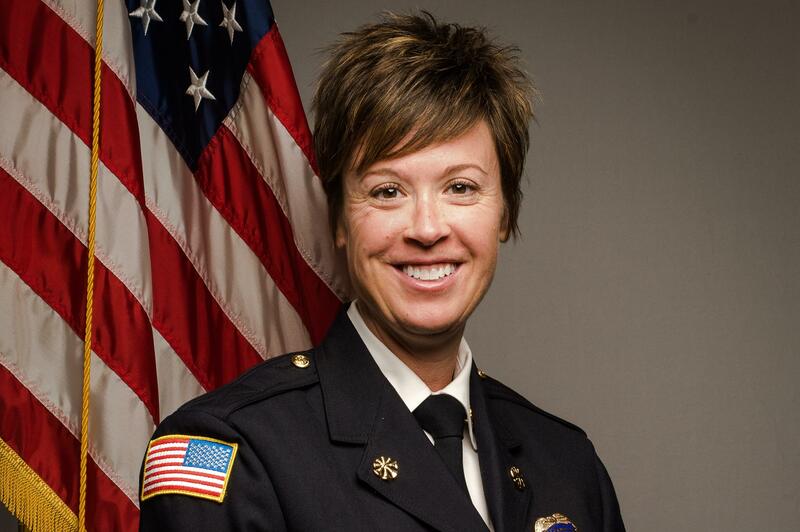 Wolford, who will transition into her new role in Spokane in a few weeks, comes from the Bozeman Fire Department in Montana, where she held the position of deputy fire chief since December 2015. While there, she was responsible for operations and activities of the fire investigation division. In her new role, Wolford will be responsible for assisting Schaeffer in planning, coordinating and administering the activities of the organization, city officials said in the news release. She will begin Dec. 27. Schaeffer, who joined the department as assistant chief in 2005 and beat four other finalists for the top post after a national search and several rounds of panel interviews, said he was ecstatic for Wolford to join the department. He said she rose above the other 22 applicants as the most qualified person they interviewed. Before her work at the Bozeman Fire Department, Wolford worked for the Anne Arundel County (Maryland) Fire Department as firefighter and paramedic prior to promotion to lieutenant, the news release states. After completing training at the Anne Arundel County Police Academy, she was assigned to the Arson and Explosives Unit of the Fire Marshal Division. Wolford received her bachelor’s degree from Shepherd University. Published: Nov. 20, 2017, 8:15 p.m. Updated: Nov. 21, 2017, 6:46 a.m.